I have a huge library of catastrophist books, both printed and now electronic. They range from horribly kooky and shallow to books that have millions of copies in their future. Dr. Jeffrey Goodman’s The Comets of God is closer to the latter. It will be read and re-read, particularly by Christians, and remembered as the best resolution of modern comet science and biblical text since Newton’s protege Whiston. Any catastrophist worth his salt could tick off at least a few bible passages that seem to reflect his scientific understandings, if not his spiritual belief. But Goodman, clearly a bible text genius and Christian, has identified hundreds upon hundreds. The more I read the more it impressed me: Goodman, by applying the very latest science to his brilliant understanding of the Good Book, was interpreting the Bible more accurately than ever before. Thou, even thou, art Lord alone; thou has made heaven (the solar system), the heaven of heavens (the Oort Cloud), with all their host (comets), the Earth, and all things that are therein … Job 38:22-23 NIV says, Have you entered into the storehouses of the snow? Or seen the storehouses of the hail (the Oort Cloud), which I reserve fr times of trouble, for the days of war and battle? Isaiah 13:3-5 says, I have commanded my sanctified ones (comets), I have also called my mighty ones (comets) for mine anger … the Lord of hosts mustereth the host of the battle. They came from a far (place), from the end of heaven (the Oort Cloud), even the Lord and the weapons of his indignation (‘wrath’ in NIV) to destroy the whole land. The Bible repeatedly refers to a reservoir or cloud of icy comets at the outer edge of the solar system. The above verses are just a few that do so. However, few people have understood the meaning of these verses. Job 38:22-23 (NIV) calls the cometary reservoir at the end of heaven “the storehouse of the snow” or the “storehouse of the hail” (astronomers sometimes refer to comets as “dirty snowballs”), where “snow” and “hail” refer to the comets’ cradle that holds them in “reserve for times of trouble; for days of war and battle.” This “storehouse” or reservoir is an important part of the greater solar system that astronomers did not discover until 1948-50. * This reservoir or cloud of comets begins at the edge of the solar system, and extending out about one-third the distance to the nearest star. Astronomers call this reservoir or “storehouse” the Oort Cloud. Goodman, Jeffrey (2010-11-11). THE COMETS OF GOD- New Scientific Evidence for God: Recent archeological, geological and astronomical discoveries that shine new light on the Bible and its prophecies (pp. 423-424). Archeological Research Books, LLC. Kindle Edition. “Bless the Lord, ye his messengers (#4397 maw-lak – comets), that excel in strength (‘mighty ones’ in NIV – which relates to the ‘mighty ones’ of Isaiah 13:3-7 who come from the ‘end of heaven to destroy the whole land’), that do his commandments, hearkening unto the voice of his word, Bless ye the Lord, all ye his hosts (including comets), ye ministers of his that do his pleasure (‘his will’ – NIV)…. (Psalm 104:4) Who maketh his messengers (#4397 maw-lak – comets) tempests (#7307 ruwach – cometary); his ministers a flaming fire (cometary)…. (Psalm 148:8) Fire and hail, snow and vapours, stormy wind (all cometary) fulfilling his word (‘do his bidding’ – NIV or ‘execute His commands – Tanakh). Goodman, Jeffrey (2010-11-11). 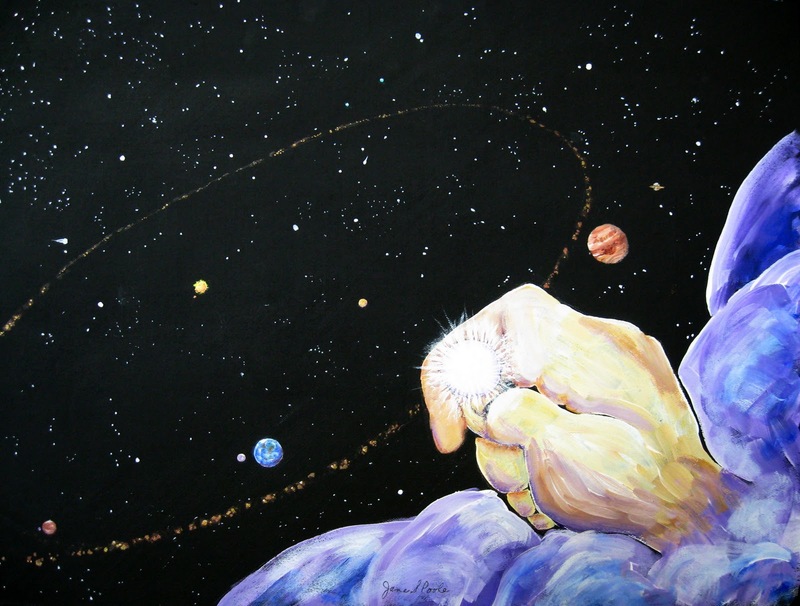 THE COMETS OF GOD- New Scientific Evidence for God: Recent archeological, geological and astronomical discoveries that shine new light on the Bible and its prophecies (p. 88). Archeological Research Books, LLC. Kindle Edition. Goodman, Jeffrey (2010-11-11). THE COMETS OF GOD- New Scientific Evidence for God: Recent archeological, geological and astronomical discoveries that shine new light on the Bible and its prophecies (pp. 91-92). Archeological Research Books, LLC. Kindle Edition.